Home / On Coastermatic / Help get Mr. Dog's Christmas back in print! 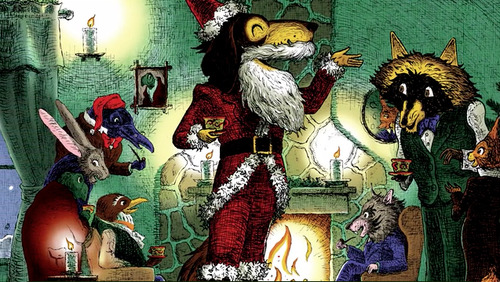 Help get Mr. Dog's Christmas back in print! Mr. Dog's Christmas at the Hollow Tree Inn is a classic in our friend Betsy Cordes' family, but it's currently out of print, and hard to find. Not for much longer though! The family have enlisted award-winning artist Adam McCauley to revive Albert Bigelow Paine's timeless tale with new illustrations, and in color no less. They've already invested a lot of love and money into the project, and are looking for a little help from their pals - and Kickstarter - to raise the remaining funds. Watch the below to hear Betsy and her dad explain how this great Christmas tale came to be so important to their family, and how you can be involved in bringing it back into circulation. Visit the Kickstarter project page to support the return of Mr. Dog!